Schweiger introduced the notion of a subtractive algorithm, to classify certain types of multidimensional continued fractions. 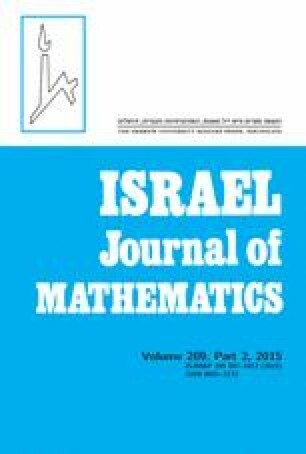 We study the limit behaviour of one particular subtractive algorithm, which generalises a continued fraction algorithm that was originally proposed by Selmer. The algorithm that we study depends on two parameters a and b. We first find a Markov partition if a ≥ b. Using inducing techniques, we then prove the existence of an ergodic absolutely continuous invariant probability measure a ≥ b for the quality of the rational approximations for Lebesgue-typical multidimensional vectors. An erratum to this article is available online at https://doi.org/10.1007/s11856-019-1861-y.